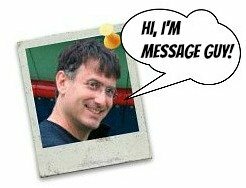 Now you can get premium extras every month from BirthdayMessages.net. All for FREE. If one of your loved ones has a birthday coming up, you will need a greeting card, maybe even matching gift tags. You can either buy them or you can get them ABSOLUTELY FREE, along with other free extras. And you'll receive these free extras with your first issue of my eZine, Bday Xpress. 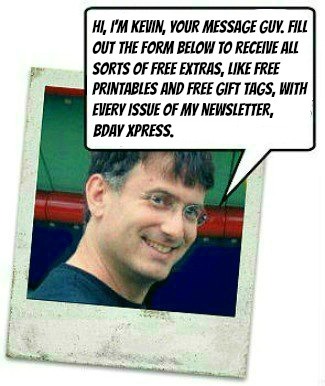 Simply fill out the form below and get all the perks mentioned above with every monthly issue of my eNewsletter, Bday Xpress, starting with the next one. Go ahead! You're just a few clicks away from it all! Important: After completing the form below, you will receive an email asking you to confirm the address you supply me (just to be sure someone did not submit your email address without your knowledge). I only need your e-mail to send you your freebies and my Bday Xpress eNewsletter.